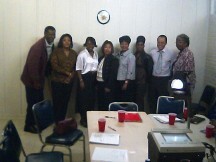 The Tuskegee United Leadership Innovation Project (T.U.L.I.P.) was created by Lindsey Lundsford and an incredible team of creative and innovative community members. Our vision is to help each woman and her family by assisting with planning, pregnancy, and labor support and making the experience both fulfilling and rewarding. The memory will last a life time. 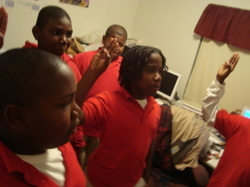 We at B.A.B.I. will aid and allow you to grow and experience your pregnancy and childbirth in a way that is uniquely for you. 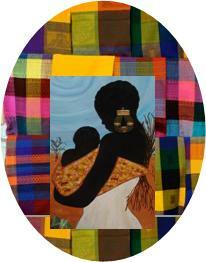 "Reclaiming the Village One Baby at a Time!" The Tuskegee chapter of NAMI (National Alliance on Mental Illness) lprovides a large amount of resources for those with family members suffering from mental illness. Get resources, get training, get support, and get your questions answered. You are not alone! Click the logo to get more information from the NAMI Tuskegee website. Do it today! 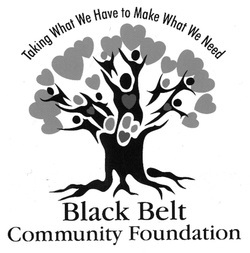 The Black Belt Community Foundation works to leverage many region-wide improvement efforts toward a common goal of transforming the Black Belt. The Carver District is the oldest black Boy Scout organization in Alabama. It is under the auspices of the Tukabatchee Area Council of Boy Scouts, out of Montgomery, AL. Community Healing Network, Inc. (CHN), is working to spark the creation of a national and international grassroots network of self-help groups focused on emotional emancipation, healing, and wellness for Black people. "Making Justice Work for All Citizens"
Heal the Atmosphere Association, Macon County's Environmental organization, is headquartered at the Shanti Village, Tuskegee, AL. Classes are available for: environmental awareness, greenhouses, living in harmony, gardening, stress management, wholistic health, yoga, nutrition and more. Youth and adult sessions are available. Click here for Heal the Atmosphere's Facebook page. Hope for Famlies mission is to inspire individuals, families and communities to find solutions that create a better tomorrow for our future generations to come. We do this through a variety of programs and service areas addressing counseling and education, crisis intervention, advocacy, as well as, family preservation. Mentoring program serving Children of Prisoners in Lee County, Macon County and Russell Counties, of Alabama. 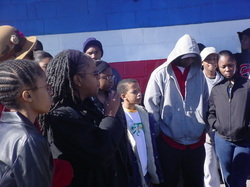 This is a program with the Teens Empowerment Awareness With ResolutionS (TEARS) Inc. The Shorter Community Outreach Corporation provides support for recreation and community development in the Shorter, Alabama area. 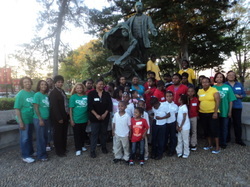 Tuskegee Chapter of Links Inc.
Tuskegee, AL chapter of The Links, Inc.
A wonderful group of ladies changing our world! 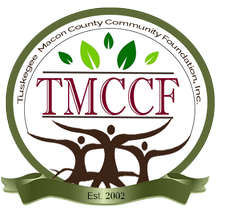 TMCCF, is a trusted, visible, dynamic organization that responds to the needs of the Tuskegee, Alabama and Macon County, Alabama community. Learn of the natural healing arts. Train in meditation and growing plants that heal the body. Learn proper nutrition and diet. Attend one of our community festivals. 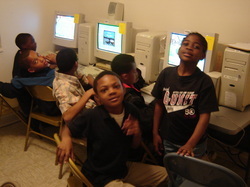 The 21st Century Youth Organization's Mandella Chapter is located in Macon County, AL. They teach and promote youth leadership development. 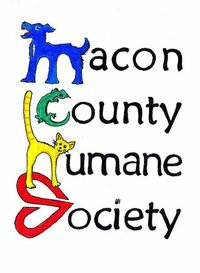 The Humane Society rescues animals for pets, that have been abused or mistreated. We serve the Macon County and surrounding area in East Alabama. We are a non profit organization with a mission to assist at-risk youth in the holistic development of the next generation and empower them to become positive influences in the world. Our mission is to serve as a Model Organization and make a positive impact in the lives of women by enabling them to receive the resources and support services available and improve the quality of their lives. 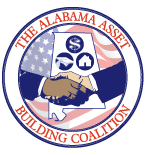 The Alabama Asset Building Coalition is a 501 (c) (3) nonprofit whose mission is to promote financial stability for individuals and families. By encouraging savings, financial education, and other wealth building programs, we strive to build an economic foundation that will allow the underserved residents of Alabama to reach their highest potential and strengthen their financial future. This non-profit is working to empower youth in the inner-city to make a major difference in the world. 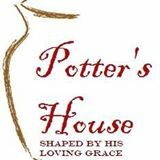 It was founded and is headed up by Sarah Washington O'Neal Rush, the great-granddaughter of Booker T. Washington.